The five senses are held captive by the memorial dining experience this restaurant hopes to plate daily. The stunning mountain views and stylishly refined décor of the dining space entice the eyes, while the sense of taste and smell are entertained by Executive Chef Beau MacMillan’s American cuisine menu. 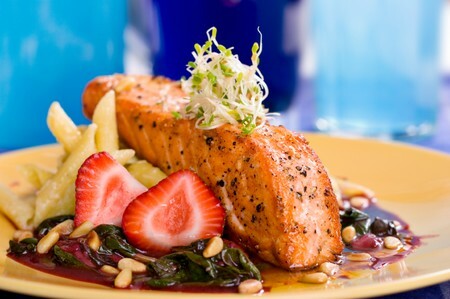 Guests of the Sanctuary Camelback Mountain Resort and Spa, and visitors exclusively to this fine dining spot, may savor flavors of the season all day. Sunday Brunch selections include the Lemon Ricotta Pancakes and the Old Fashioned Irish Oatmeal. Dinner guests may revel in the backdrop of an awe-inspiring sunset while feasting on the Fire-Roasted Oysters or the Bacon Wrapped Fillet of Beef. | All Day 7:30 a.m. - 10 p.m.